Enjoy every bite of this great road but understand that it’s only the beginning of your meal’s side items (the main course is still to come). This route takes a brief shortcut off of highway 30 near Riceville, putting you on highway 11 before heading toward Calhoun. The shortcut includes routes 100, 82, 53, 51 and 50. This is a twisty but slower section of the route. The roads aren’t as well maintained as those prior and you’ll notice a few residential areas but it’s still sport touring friendly. The run on 11 is just filler. It’s A short, straight shot to connect you with 163 out of Calhoun. Turn left at Calhoun onto 163 and the fun starts right back up without technicality. You’re faced with more twisty roads and scenic/hilly backcountry. It’s a short run before picking up 411. 411 is another useless bit of straight but you won’t be on it long before connecting to the really good stuff! Turn right onto 411 and then shortly after you’ll be turning left back onto highway 30. 30 routes you into the Hiwasee Ocoee State Park and runs along the Hiwassee River into Reliance, Tennessee. The scenery through this stretch is beautiful and the road’s a hoot to ride but it’s short. Consider it another wonderful side item to your meal. Heading east, this route starts with highway 70S, where rolling hills and sweeping curves provide a wonderful appetizer to this three-hundred mile meal. Your goal now is to reach Telico Plains. There are two main roads heading south out of Telico Plains, namely 315 (Reliance Road) and highway 68. Both are great for sport touring rides. This route provides a brief shortcut in between so that you might experience a bit of both. From Reliance, head north on 315 and take said shortcut before heading north onto 68. The shortcut includes Ivy Trail, Towee Falls Road and Ironsburg Road. Be forewarned that all are more narrow and not well maintained. Some sections are hilly and others technical in their curves. Be on the lookout for potholes and sketchy pavement. Also, this area being semi-residential, keep an eye out for driveways. I feel this shortcut is more suited for a KLR (dual-sport bike) than my Bandit. Experiencing it once during this trip was enough, so I skipped it entirely on my return, opting to take 315 out of Telico Plains back to Reliance. Sure, I missed out on 68 but I’ll be back in that area again. Your main course begins with Telico Plains. 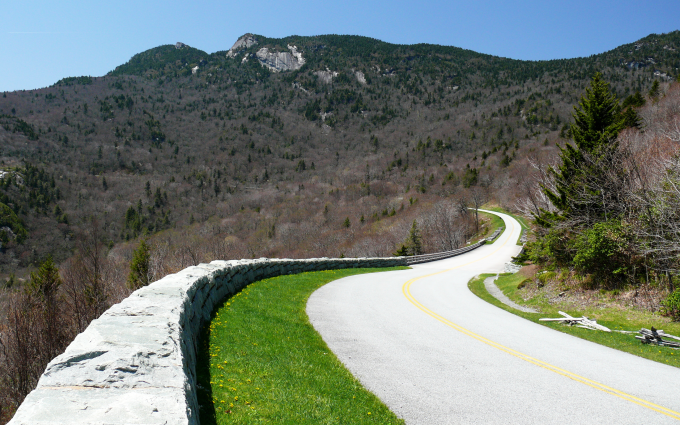 Starting now, you’ll run the entire Cherihola Skyway, part of 28 and 129 (Tail of the Dragon), and all of the Foothills Parkway. It’s like taking a master class in motorcycle riding. The Skyway’s amazing. You’ll cross a mountain (that seems more like many mountains), experience constant elevation changes and navigate technical roads. It’s the real deal. This is the “rib-eye steak” portion of your meal but pace yourself. This is a great big, bone-in rib-eye served with a huge and fully loaded baked potato. The Skyway ends near Robbinsville, North Carolina. If you follow my route, you’ll cross 129 to enjoy 28 before reconnecting to 129 farther north at the Deal’s Gap Resort. If you’re already “getting full”, you can skip 28 by just turning left onto 129 but then you’re missing out! 28 is well worth the indulgence. From Deal’s Gap Resort, head north onto the dragon. Enjoy it or endure, depending on your tastes. Just make sure you survive it. Don’t get in over your head, watch for idiots (other motorists) and for heaven’s sake, stay in your lane! Now it’s time to wind things down. After the dragon, continue following 129 for a short bit before turning right onto the Foothills Parkway. After what you’ve just ridden through, the parkway’s like desert. It’s a wonderfully light, tart and sweet slice of key lime pie to finish your meal. Bite after bite you’ll enjoy rolling hills, sweeping turns and spectacular views. At the end of the parkway, turn right onto 321 and then continue straight onto 73, keeping an eye out on your left for the small GSM Motorent sign that’s topped with an actual motorcycle. Your meal’s over. It’s time to unpack and enjoy an after dinner cocktail (Makers Mark on the rocks for me, please) while pondering the miles of off-road adventures your next day holds. Not to worry. If you’re like me, you’ll dine on this motorcycle route again soon. The alternative is taking I-40, which would be like eating at McDonald’s. The I-40 route is shorter and faster but hardly as good for your body or your soul. What Are Some Of Your Favorite Sport Touring Motorcycle Routes? 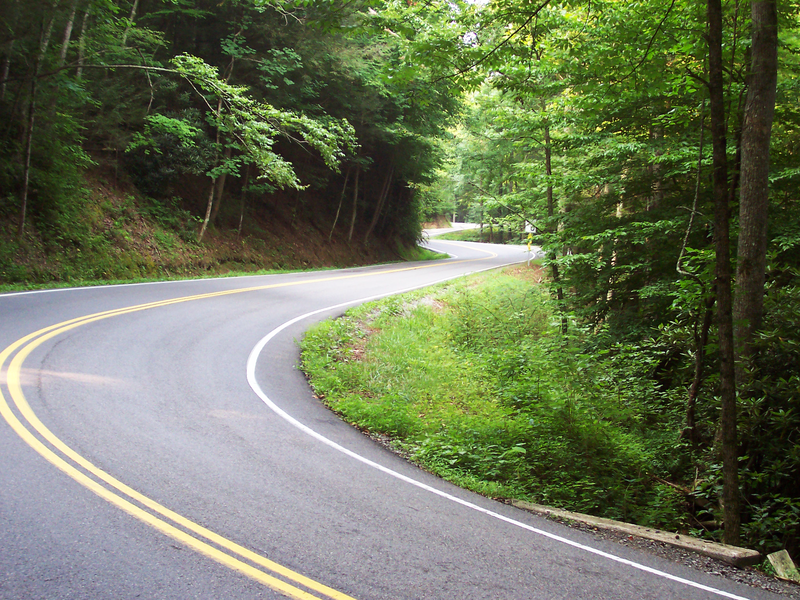 Tennessee and North Carolina are chock full of great motorbike roads. What are some of your favorites? What do you like about them and why? Your input is invited. Post an article! Fellow rider and guest author Greg White has posted a total of 1 article.